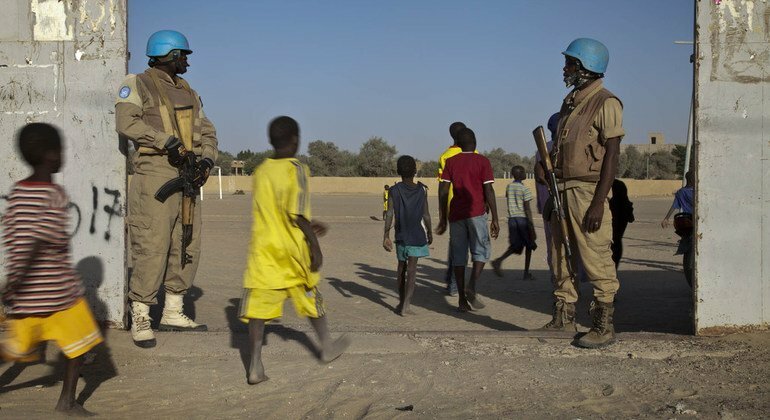 Peacekeepers from Burkina Faso patrol the streets in Ber, a little village 60 km north-east of Timbuktu, in Mali, in April 2014. Peacekeepers from Burkina Faso provide security at the entrance of a stadium before the beginning of the match between teams of two neighbourhoods in Timbuktu, Mali, in December 2013. 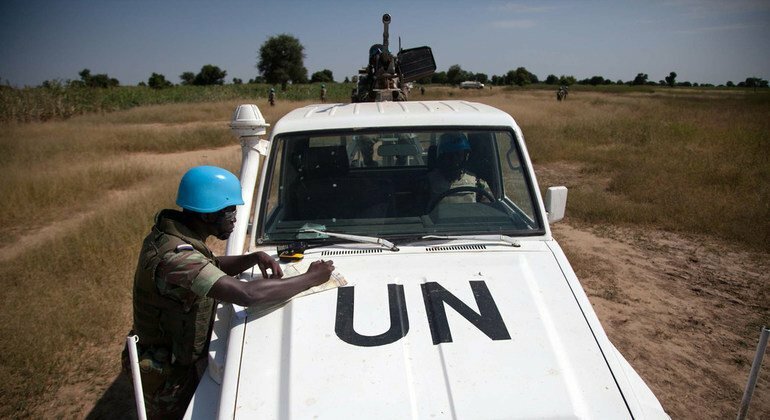 A UNAMID peacekeeper from Burkina Faso, who is based in Forobaranga, West Darfur (Sudan), checks a map during a patrol to Tamar village, in October 2013. 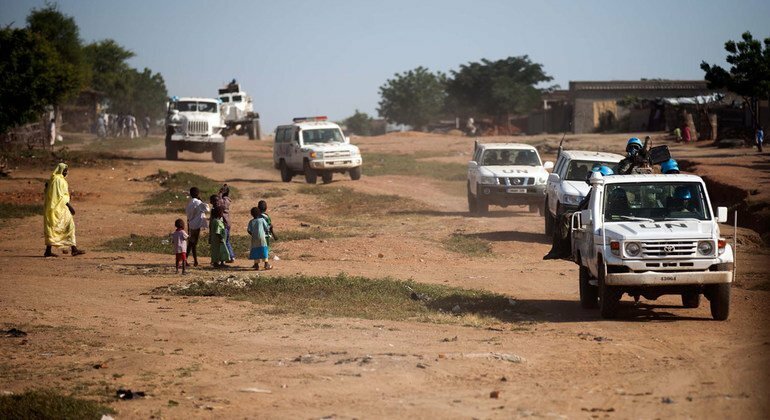 A UNAMID convoy from Forobaranga, West Darfur (Sudan), escorted by troops from Burkina Faso, goes on patrol to Tamar village, in October 2013. 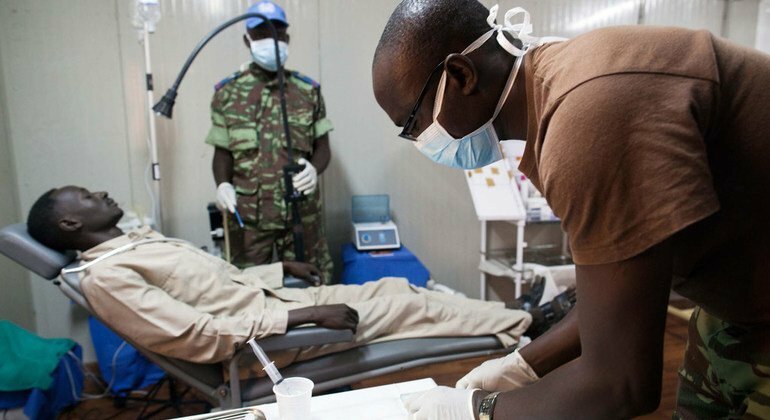 A dentist from Burkina Faso assists a local patient in the UNAMID base in Forobaranga, West Darfur (Sudan), in October 2013. 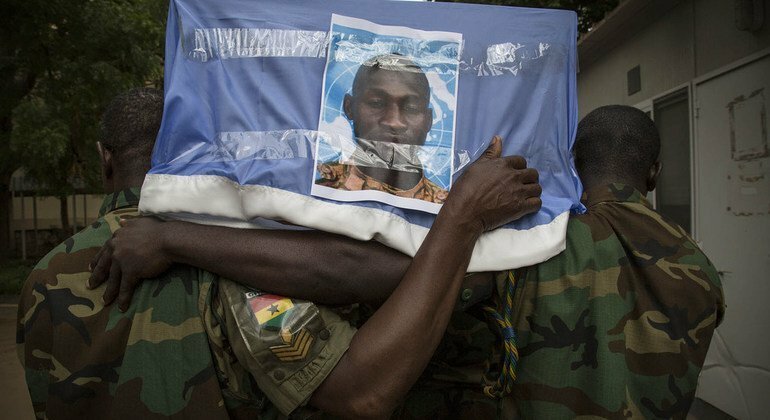 Every year since 2011, one serving female UN police officer receives the UN International Female Police Peacekeeper Award. 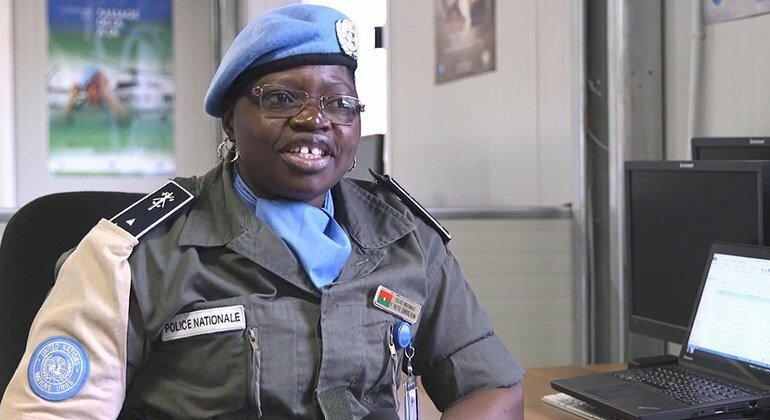 The 2016 recipient was Police Superintendent Yvette Boni Zombre from Burkina Faso who received the award for her service and achievements in the UN mission in the Central African Republic (MINUSCA).